Boat rentals are available every day. Rentals are available daily. Advanced reservations are recommended. 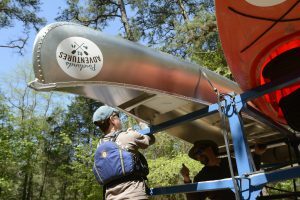 Pinelands Adventures does not handle reservations for actual campsites or cabins. Please reserve your site or cabin through Wharton State Forest. Call us at 609-268-0189 or email us. Please call us at 609-268-0189 or email us for weekly rates.